Duct tape is incredibly strong, waterproof, and easy to tear. These qualities give it limitless potential uses, and it can really save you in a pinch. If duct tape is important enough to be carried on every space mission since the early 1960’s, I definitely think you should keep a roll in your car! It’s your worst nightmare scenario, you’re at a stop sign and someone rolls right into the back of you. Your rear bumper is cracked and partially hanging off its mounts. You can’t drive your car with the bumper dragging on the road. Do you rip it off and create even more damage just to get home, or do you whack out the duct tape and put a couple of strips over the flailing bumper? 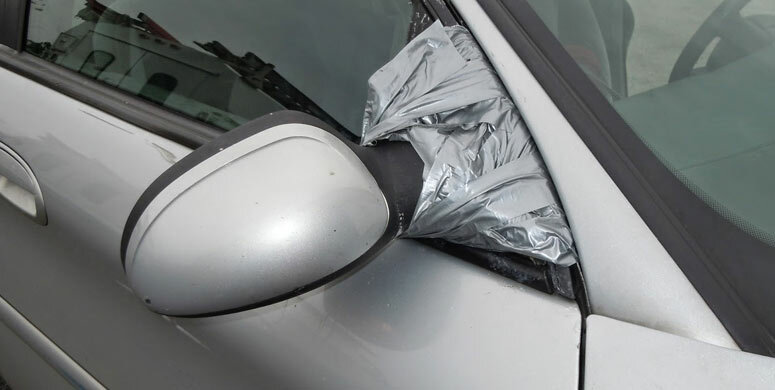 A few feet of duct tape will hold your bumper on long enough to get your car home, or to the nearest service station. If you have an older car, this is bound to have happened to you at some point in your life. You’re driving along when suddenly there’s a loud clang and sparks start flying from the back of your car. Pulling over to see what the hell has happened, you realise that an exhaust mount has snapped. Thankfully, you carry a roll of duct tape with you! So, you can easily secure it, allowing you to make it to the garage so they can fix it properly. Your top hose splits in your engine bay, coolant is shooting out all over the place and you grind to a halt in a glorious puff of steam. Have no fear, you have your trust duct tape with you. Patching it up with a few wraps, you’re good to limp home. You could also do the same if your washer jets have a snagged and damaged hose. 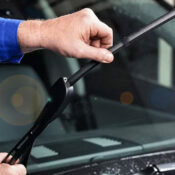 Your hood or trunk latch stops working while you’re out and about? Um, try duct tape! Some interior trim comes loose in your car? Duct tape it. Your kids won’t stop screaming in the backseat of the car, and you just want their mouths to stay shut? DON’T use duct tape! You name it, duct tape can usually fix it. Related coupon: Advance Auto: 25% Off! 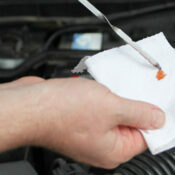 Car issues can quickly become serious, especially if you can’t get cell reception, or if your phone dies. Even if you aren’t mechanically minded you can still patch up and limp home, or it will hold until you can find someone else to help if you’re in the wilds. There’s also specialist types of duct tape too. Even though the normal stuff will see you through most eventualities, you may want to think about buying some aluminum duct tape for high heat scenarios. Also, Foil duct tape will patch up cracks in your exhaust and last far longer than the ordinary webbed tape. So there you have it, a bunch of damn good reasons why you should put a small roll of ultra-sticky, (possibly lifesaving) duct tape in your glovebox.